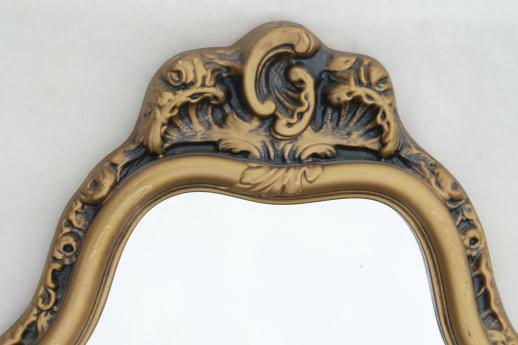 ornate hall or mantel mirror, vintage gold rococo plastic frame w/ french fairy tale style! 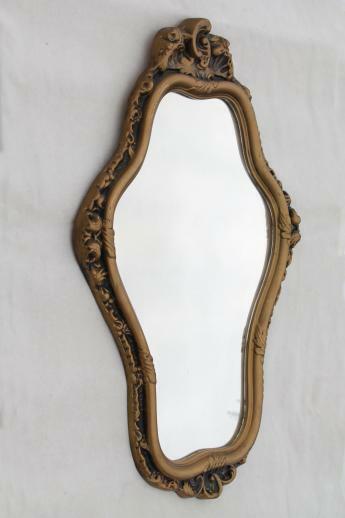 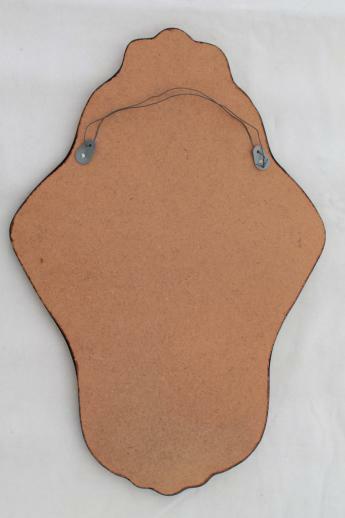 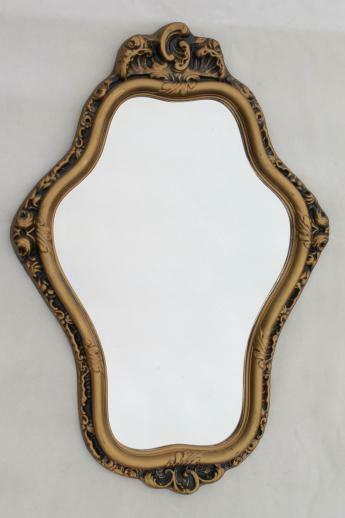 Vintage gold plastic framed mirror with a rococo style, pretty in the hall, over the mantle, or even as a vanity mirror. 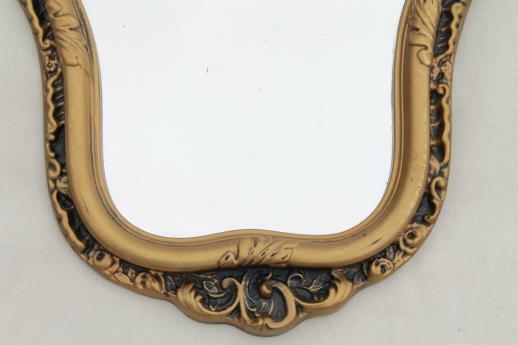 It's 25" long over the frame, and both the frame and the glass mirror look very good.